The Fitness Vibe app gives you everything related to your favourite classes and events and helps you remain up-to-date with all the latest news and offers on the move. 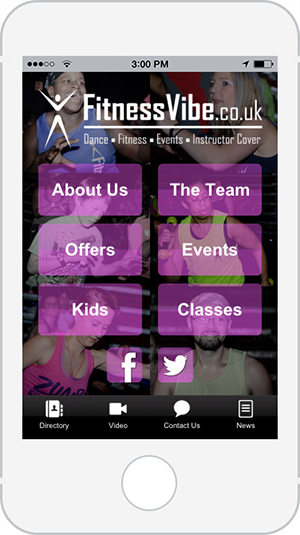 The App also includes biogs of all our instructors and team members, videos from past events, a directory of preferred suppliers and a contact us page. Finally, there are links to our social media platforms, so you can also follow us there. Follow the links below, or search for Fitness Vibe on your mobile device.